Impulsive spending habits should surely accompany that infamous millennial sense of entitlement, right? Maybe not. Reckless spending isn’t a money management problem that most millennials have, new research suggests. Instead, the generation appears to favor financial comfort over spending a night out on the town. More than half (54.3%) of millennials believe being financially strained is worse than missing out on something they can’t afford, according to a GoBankingRates survey. And in addition to not being influenced by ‘FOMO’ (Fear of Missing Out), millennials also aren’t anxious to put money on credit cards. Sixty-four percent of millennials do not own a credit card, according to a new Bankrate.com report. However, the study found that credit card usage tends to increase with age. Fifty-five percent of 30 to 49 year olds have credits cards, 62% of 50 to 64 year olds have them, and 68% of those in the 65+ category own at least one credit card. So, as they get older, millennials could change their tune on credit cards and begin reaping the rewards of establishing credit. 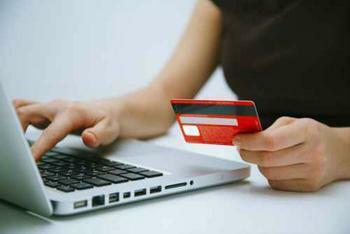 Other factors may also influence their decision to carry credit cards. The study also found an association between credit card usage and level of education. Sixty-three percent of people with a high school degree or less do not use credit cards, but only 17% of college graduates forgo credit cards. A person’s income level also seems to play a role in the likelihood of owning credit cards. Seventy-two percent of people who make less than $30,000 per year do not own a credit card, but only 18% of those who make over $75,000 per year choose to live without one.